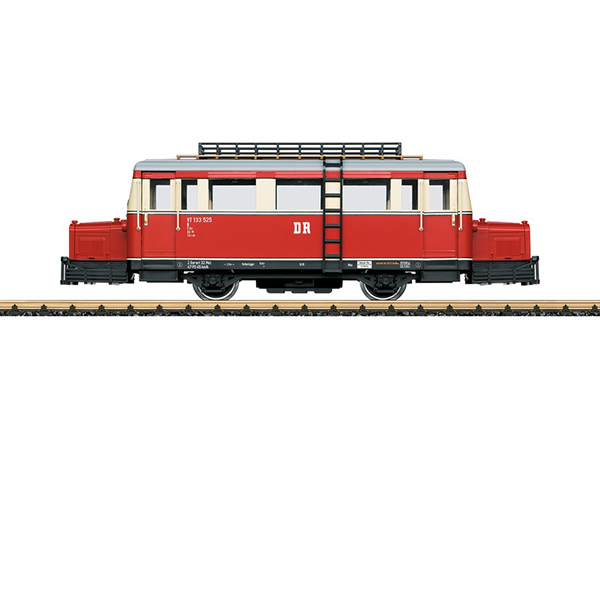 Product: This is a model of the German State Railroad (DR) Wismar rail bus, road number VT 133 525, as was used on the narrow gauge network in the Prignitz area. The paint and lettering are prototypical for Era III. A powerful Bühler motor with ball bearings drives both wheel sets. 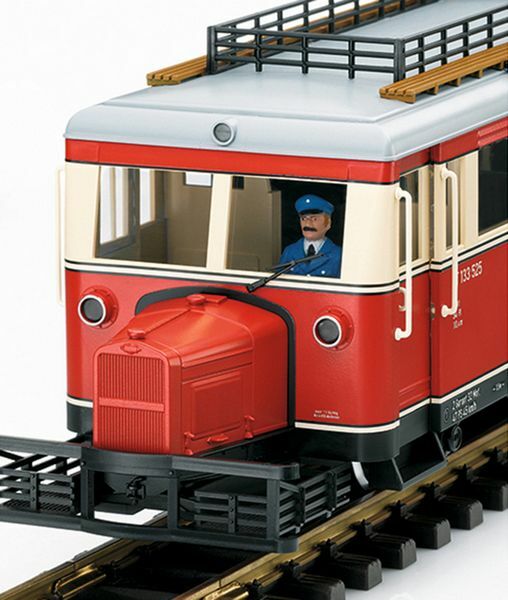 The rail bus has an mfx/DCC decoder with many digitally controlled light and sound functions, such as headlights that change over with the direction of travel, interior lighting, and much more. Length over the buffers 45 cm / 17-3/4".